Churchgoers at a tidy, white-steepled United Methodist Church in Carrollton, Missouri, heard a frank admission from their guest pastor one spring morning in 2007. She had, in fact, fought for the right to preach. As a girl growing up in the 1950s in the Texas panhandle, Neaves was told that women could not be ordained ministers in the United Methodist Church. The information was erroneous, but not until she left Texas for college, marriage and motherhood did she encounter a female pastor who could disprove it. Eventually Neaves graduated from the Perkins School of Theology at Southern Methodist University, became an ordained Methodist minister and hospital chaplain, and gathered a wealth of life experiences to frame her sermons. Listening in the congregation to the candid and unusual sermon was the preacher’s husband, Bill Neaves. Never entirely comfortable with church and organized religion, he kept a low profile. 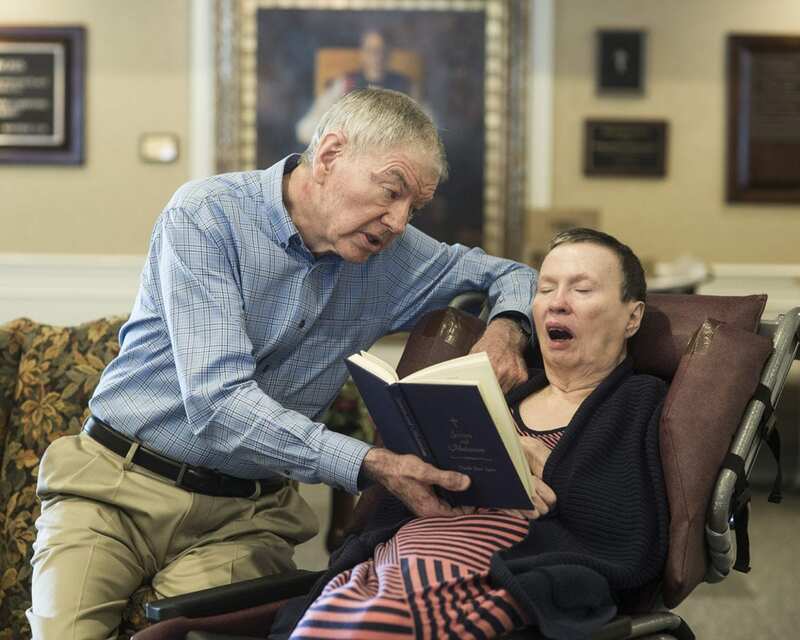 Few in the country church knew that, while Priscilla was wrestling with her medical diagnosis, Bill was engaged in a professional and political struggle involving the search for cures for diseases like Parkinson’s. He had been dean and executive vice president for academic affairs at the University of Texas Southwestern Medical Center in Dallas, a lauded institution where Nobel Prize winners worked with other faculty members to advance science and medicine. She was a chaplain at Children’s Medical Center Dallas — a front-line responder to small patients and their families in moments of fear, relief and overwhelming grief. But he needed to persuade Priscilla. She had balked at several other moves when opportunities had arisen. After a dinner with Stowers; his wife, Virginia; and other family members, she agreed. Neither Bill nor Priscilla Neaves had any way of knowing that during the next few years his new job would come to involve politics as much as science, and her physical and spiritual health would be put to the test. The first signs of trouble appeared in the fall of 2003. Priscilla didn’t feel well; something was off, she said. She wasn’t able to walk with her normal stride. When the odd symptoms persisted for a few weeks, Bill tapped his medical contacts. In January 2004, a physician at the University of Kansas Hospital diagnosed Parkinson’s disease. Another physician at Washington University Medical Center in St. Louis concurred. Those miniscule lab dish embryos are home to embryonic stem cells that can be formed with a patient’s DNA. Scientists believe the newly created cells can be used to repair tissue, organs and nerves damaged by all manner of injuries and diseases. In the early 2000s, they eyed the laboratory procedure with great hope. Jim and Virginia Stowers spent $30 million to bankroll the campaign supporting the amendment. Opponents formed their own coalition and also raised millions of dollars. Missouri citizens were besieged by television ads alternately lauding the promise of stem cell research and issuing dire, if misleading, warnings about cloning. Ultimately, science itself stepped in to bring an uneasy truce. A Japanese researcher found a way to make adult cells behave like embryonic cells, with the same capacity to repair and rebuild damaged body parts. The reprogramming method is less costly than the somatic cell nuclear transfer procedure, and it sidesteps the ethical issues. It is now the preferred avenue for many scientists, including those at the Stowers Institute. She continued her work as a voluntary chaplain and frequently preached sermons in the chapel of Carroll County Memorial Hospital. By this time the Stowers Institute was thriving. 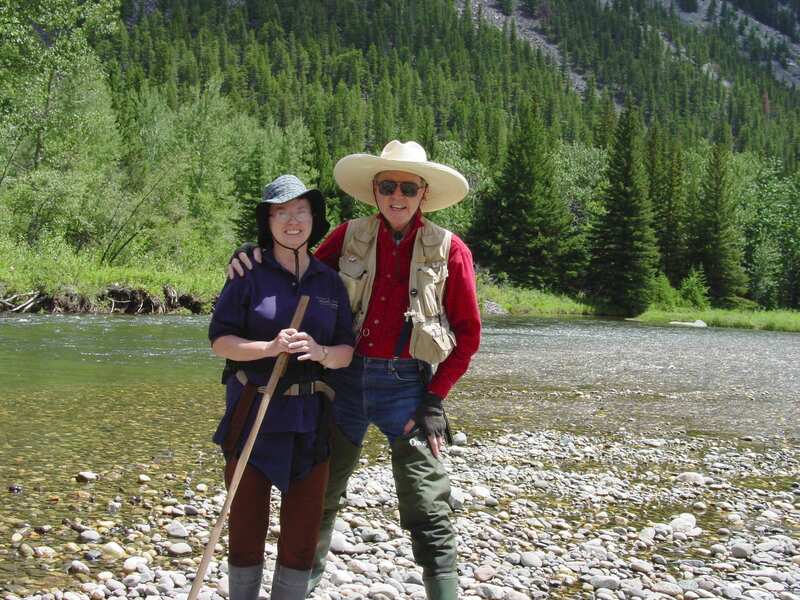 Jim and Virginia Stowers had given $2 billion worth of American Century stock to its endowment. Labs were filling up with impressively credentialed scientists. A spinoff biotechnology company, BioMed Valley Technologies Inc., had been formed to move treatments and therapies into clinical development. In June 2010, Bill Neaves announced he would retire as president and CEO of the institute. He had already begun handing off the day-to-day operations to a protege, David M. Chao. Neaves talked about wanting more time for research and various projects. He was especially excited about returning to research he’d begun 40 years ago, studying the asexual reproduction patterns of some species of lizards. He didn’t disclose publicly that his family was dealing with an all-consuming illness. Priscilla’s symptoms were increasingly resembling more of a dementia-type illness than traditional Parkinson’s disease. At the end of 2011, specialists at the Mayo Clinic in Rochester, Minnesota, found that Priscilla was suffering from cortical lewy body disease — a brain disorder closely related to Parkinson’s but even more devastating. The destruction proceeds beyond motor control to destroy brain neurons associated with cognitive functioning and movement. The couple had moved several months earlier into an apartment in Bishop Spencer Place, a retirement facility in midtown Kansas City that has provisions for nursing care. Linda Yeager, who was chaplain there at the time, remembers that Priscilla sought her out. But Priscilla’s disease was progressing rapidly. By 2012, she was experiencing anxiety, confusion and paranoia. Daily tasks such as routine teeth brushing became a struggle. Bill, who describes himself as “a compulsive-type person,” began preparing for his wife’s death. He made cremation arrangements. He visited a printer and prepared a death announcement for Priscilla. Then he focused on putting together her book, “Sermons and Meditations,” which offers an eloquent, widely sourced study of theology from the perspective of a feminist and an environmentalist. “That was a very therapeutic thing for me,” Bill says of the book project. These days, Bill awakens most mornings at 5 a.m. in the apartment he and Priscilla share at Bishop Spencer Place. He sets about slicing up fruits for Priscilla to eat at lunch and supper. About an hour later he escorts his wife to the skilled nursing portion of the complex and sees that she is settled at her usual breakfast table. He makes sure she drinks water. Bill, 74, and a year older than his wife, then drives to the Stowers Institute, arriving around 6:30 a.m. A tall, rail-thin figure in blue jeans, he glides around its hallways at a clip that feels like a trot if you’re trying to keep up with him. He knows everyone by name, from top scientists to the servers in the cafe. He teaches a research course and writes papers, mostly for scientific publications. He also serves on the boards of several institutions. Sometimes he visits the institute’s reptile facility, where he and a Stowers scientist, Peter Baumann, continue the study of unisexual lizard reproduction. A couple of years ago, the scientific journal “Breviora” honored Neaves by lending his name to a new lizard species, aspidoscelis neavesi — Neaves’ whiptail lizard. And very recently, the “Bulletin of the Museum of Comparative Zoology,” out of Harvard University, named a different species aspidoscelis priscillae — Priscilla’s whiptail lizard. This is only appropriate. 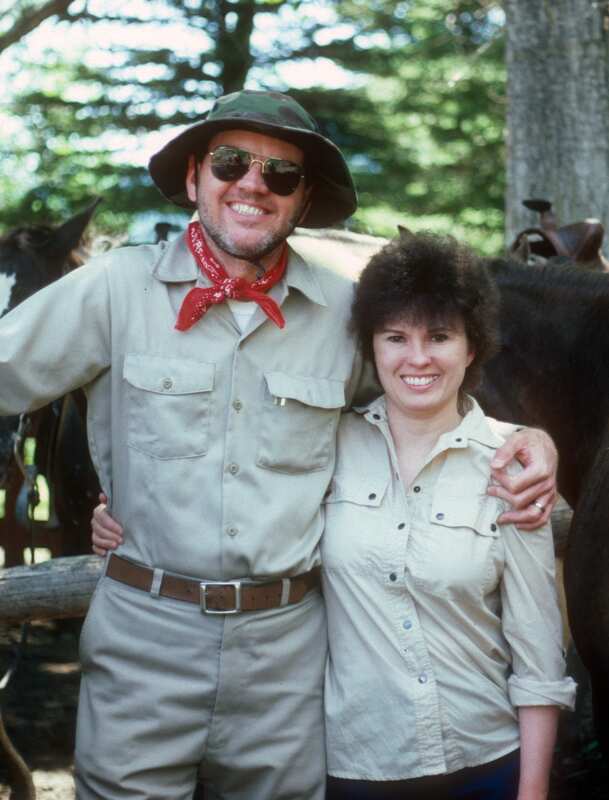 When they were much younger, Priscilla spent months collecting lizards with Bill in the deserts of New Mexico. Bill Neaves returns to Bishop Spencer Place around 10:30 a.m. and stops in the cafe to buy Priscilla a cup of coffee. He helps her eat lunch and, again, makes sure she drinks water. Then it’s back to the Stowers Institute until about 3:30 p.m. Late afternoons and evenings are consumed by a routine of coffee, dinner, companionship and bedtime preparations. If life had served up a different set of circumstances, Bill Neaves might be traveling the world right now, speaking at scientific conferences and soaking in the tributes due the founding president of a world-class research facility. 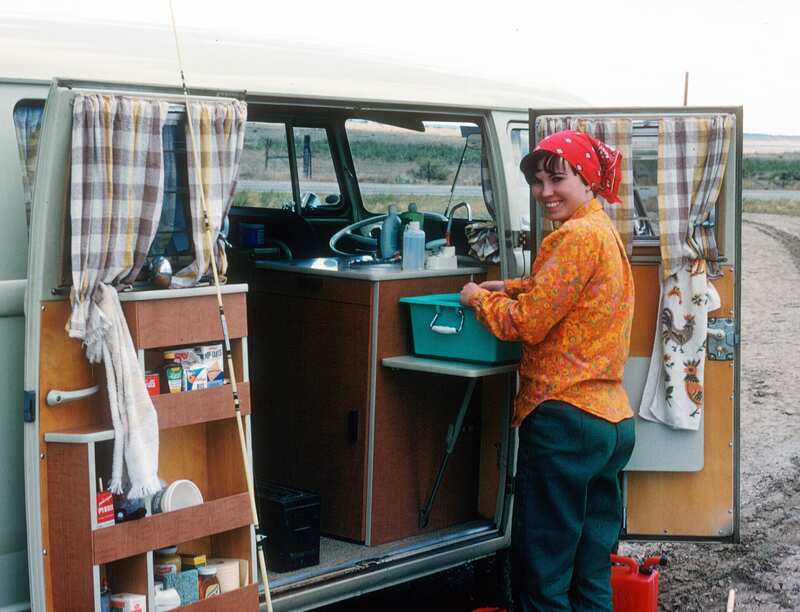 And what about Priscilla, the woman who broke barriers in her church, raised two children, comforted grieving families and lived with Bill in places as far-flung as Boston and Kenya? For all of her life, she had been a reader, a writer and a thinker. As a hospital chaplain, she kept copious notes about her encounters with patients and their families. Now the ravages of a terrible disease have left Priscilla unable to write down her thoughts, or verbalize them. But remarks in the sermons that her husband compiled seem prescient.